Scientists are divided over the new government's energy policy that aims to increase electricity output with clean, renewable energy, a survey showed Thursday. 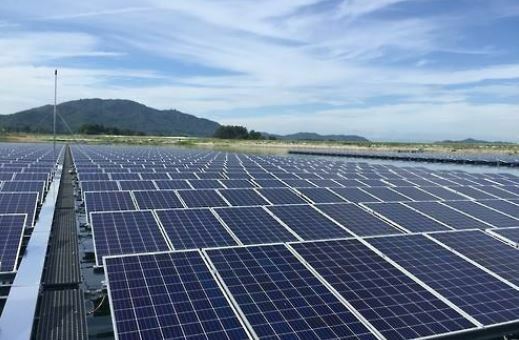 The Moon Jae-in government earlier announced that it plans to generate 20 percent of its electricity with clean, renewable energy by 2030, while reducing its reliance on fossil fuel and nuclear power plants. According to the survey conducted by the Korean Federation of Science and Technology Societies on 2,029 scientists in different majors, 41 percent of the respondents said the new policy is appropriate. The survey showed that 46 percent of the respondents said the policy is inappropriate. In a policy report to President Moon Jae-in, who took office in May, the State Affairs Planning Advisory Committee said it will encourage big companies and small merchants to use renewable energy by offering financial incentives and other promotional packages.